A link posted on Facebook inspired today’s blog entry: “I Got a Tour of Detroit’s Techno Museum, and Found a City That Still Dreams” This is a city I want to visit and intend to discuss in a future blog entry. My impression of visiting Madrid (at the start of the invasion of Iraq in 2003) was that you must visit The Prado Museum – said to be one of the most important art museums in Europe and amongst the best in the world. But first on my itinerary was Museo Nacional Centro de Arte Reina Sofía. I remember spending a considerable amount of time here. I know very little about art, but the installations, sculptures and the clinical atmosphere (ironically Reina Sofia is housed in a former hospital building) really caught my attention. A small section of Mathematical (or perhaps technical art) in particular, spoke to me – it created techno music/beats in my head. In around 2007 I visited Vancouver as part of a 3 week tour of Canada. 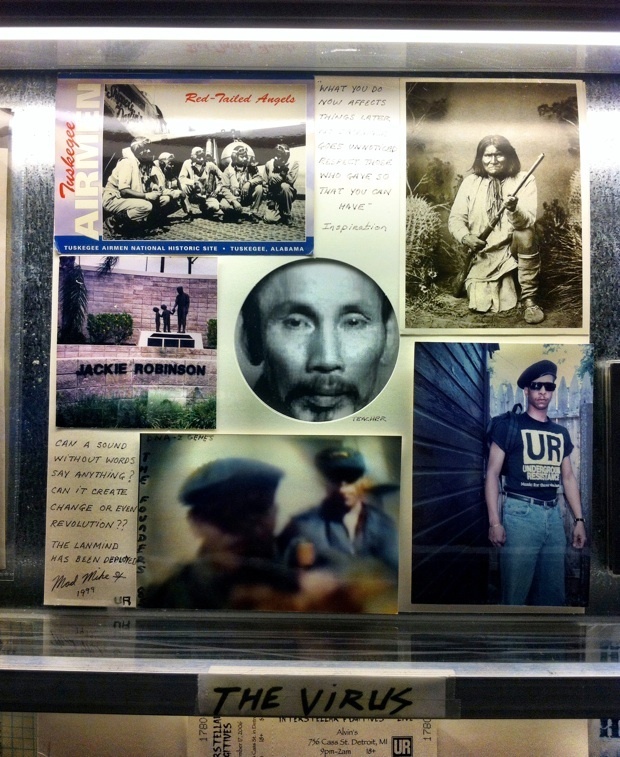 My first stop was the Vancouver Police Museum (their official site seems to be offline at the time of posting). It’s a quirky little museum and the highlight, if you can stomach the thought, is the autopsy room. The first time I fully understood the fascination of art museums was when I visited Tate Modern (despite a post-party hangover) with a friend who is an artist and who has studied art. He explained the importance of brush strokes and the different materials the artists had used to depict their emotions in each piece. 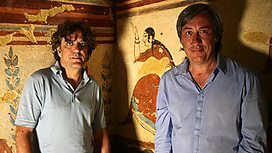 Andrew Graham-Dixon and Giorgio Locatelli inside the tombs of the Etruscans. This is exactly the kind of travel TV programme I like. Currently showing on BBC Two and BBC iPlayer: the series follows two effervescent presenters (driving a sleek Maserati no less) who are passionate about Italy – its food, art and history – as they travel along Italy’s west coast. In the first episode they explore the hidden delights of Genoa – a city that most only pass through. In the second episode they purposely shun the tourist trap of Rome in favour of the magnificent water gardens at Villa d’Este. Watch the series on iplayer before the BBC make it disappear! I work for a travel business and whilst flicking through the pages of the big tour operators (Thomson, Virgin Holidays and Thomas Cook) I am pondering the question: But is it travel? The brochure racks are filled with pages of big, whitewashed and generic all inclusive hotels, in generic beach locations all offering the same facilities with the intention of keeping guests penned in to their chosen resort. I wonder how the customers are able to decide on a resort or even a destination to visit from such bland choices! I think travel should be exciting or relaxed – but always cultural. If you want more than 2 weeks by the pool, then this is the blog for you.